You'll discover tucked-away gems like Kayaking & Canoeing and St. Mary's Cathedral. Explore the numerous day-trip ideas around Perth: Rockingham Beach (in Rockingham), Fremantle Prison (in Fremantle) and Mandurah (Dolphin Quay & Waterskiing & Jetskiing). 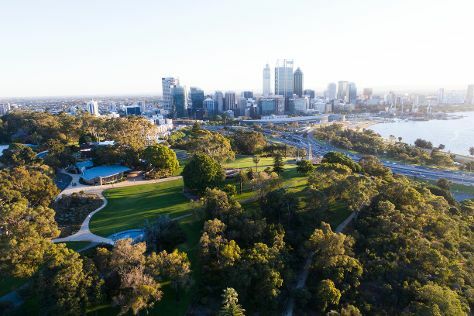 The adventure continues: admire the natural beauty at Kings Park & Botanic Garden, get your game on at Hoddywell Public Archery Park, take a leisurely stroll along South Perth Foreshore, and take some stellar pictures from Mount Brown Lookout. To see ratings, maps, reviews, and tourist information, read Perth itinerary maker . If you are flying in from United States, the closest major airport is Perth International Airport. In May, plan for daily highs up to 71°F, and evening lows to 49°F. Wrap up your sightseeing on the 13th (Mon) to allow time to travel back home.